This photo was taken when Maurice went to Leeds to support Norman Court in one of his private prosecutions. Today, people are mounting a demo to Free Norman as he is in Leeds prison, in conditions that he describes as a “definition of hell” in his open letter to Judge Jonathan Rose. Paul Talbot-Jenkins’ “Battle Bus” has been decorated for the job and is on the road! Norman also sent a petition to HM The Queen which you can can support with your signature. This entry was posted in Access to Justice, Campaigning, Fair Trial, HM Court Services, Private Prosecutions and tagged Contempt of court, England, Leeds, Open letter, Political prisoner, South Wales Police, West Yorkshire, World War II. Bookmark the permalink. Pingback: Norman @ the RCJ on Thursday August 18 – thanks to Writ of Habeas Corpus « Victims Unite! Pingback: 923 Signatures on the Petition Free WWII Veteran Norman Scarth from Leeds Prison « Victims Unite! Pingback: Norman Scarth on Video in Royal Courts of Justice today – with some 30 Supporters « Victims Unite! The elderly man (Norman Scarth), the 85 years old must given the freedom “Release Him Now” from prison he is outspoken telling the truth while unlike the Police Solicitor and Mastermind, the Judge who handle his case was lying, including some members of parliament, they like us to shut-up our mouth, no hear no see no speak, like the monkies and be like a robbot. We are all to be in prison because we are poor no money. ., but global theives like Rothschild dynasty and the Rockfeller family tree.” while Rockfeller never content having more than 400 trillions gold and silver in the bank as well as Rothschild 500 trillions gold and silver, why not to stripe and make them naked and to be treason” they were bunkers taken the whole prophits of the worlds for themselves. The King or Queen, the President, Prime Minister, the Chancelor etc, are became prostitute to the site of the LORD God Almighty, for coneiving to these Satanic Rothschild and Rockfeller. God created the being in purpose in this world have thier own nation to develope Custom, Culture, Languages, even their have to develope their own wealth. Another things the elite has as well Billions savings, understand the Satanic Rothschild and Rockfeller want to have mass murder globaly the 7 billions populations to reduce 2 to 3 billions left over on this planet earth. They are planning to give the whole strength and power to the Pope of Rome (Son of Perdition) to be king of king, lord of lord and to be a high priest to kill anyone who opposed him, who don’t want to beleive he was god. Yes, Yes, dear Anonymous Woman! Pingback: Scarth vs HMP Leeds – HISTORY IN THE MAKING « Victims Unite! Pingback: This man needs to be released on compassionate grounds if for no other reason « Victims Unite! Pingback: A New Collation of 700 Comments by 1700 Free Norman Scarth Petition Signers « Victims Unite! Pingback: Norman News as “tweets” from Twitter « Victims Unite! Pingback: Disgusting – the most frequent judgement on Norman Scarth’s imprisonment « Victims Unite! Pingback: Leeds Prison & Governing Bodies are Risking Corporate Homicide Prosecution « Victims Unite! Pingback: Norman Scarth on Victims Unite has become a “Dangerous Page” « Victims Unite! 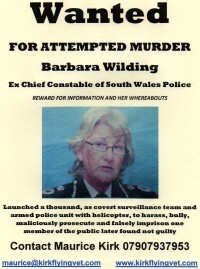 Pingback: One more week in Prison before the Appeal is heard on Friday 9th September 2011 « Victims Unite! 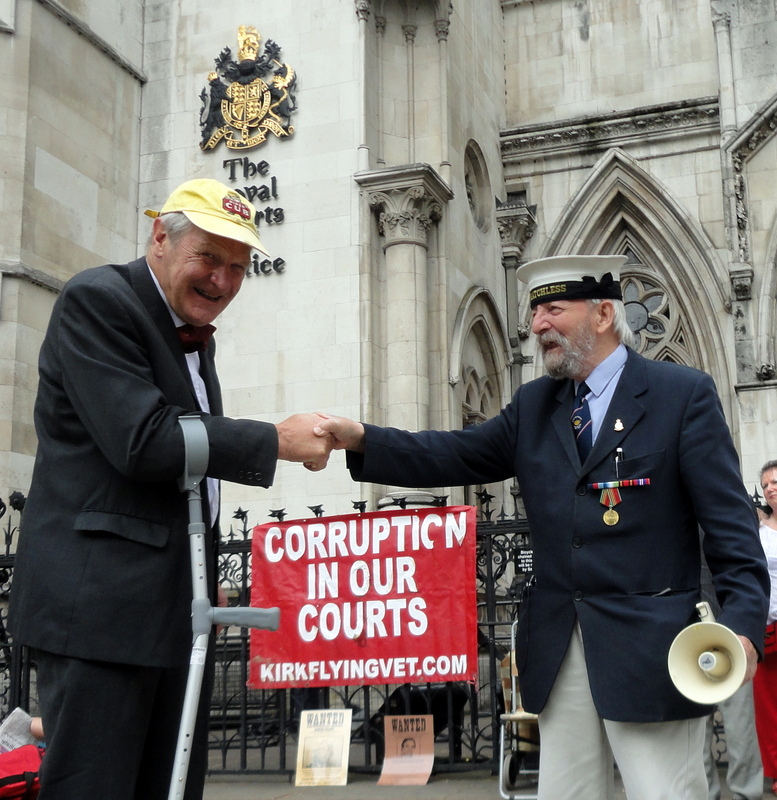 Pingback: Human Rights Activist and WWII Veteran Norman Scarth is FREE again! « Victims Unite! 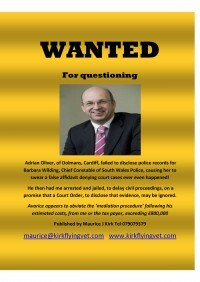 Pingback: Norman Scarth appeals to Police on behalf of Maurice Kirk « Victims Unite! Pingback: Human Rights Activist Norman Scarth writes Admirably to HMP Cardiff « Victims Unite! 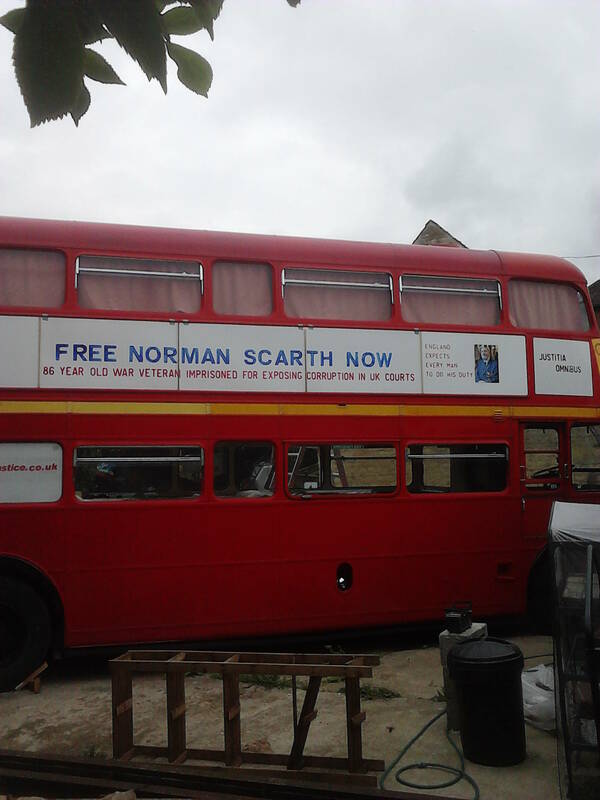 Pingback: Police State in Action: Norman Scarth lured out of ‘sheltered flat’ to be arrested!!! « Victims Unite! Pingback: Encouragement from a WWII Veteran: ‘Quislings’ (worst kind of traitor) who now rule Britain | This Nigerian Family wants to go Home – WITH their Six Kidnapped Children!